I stick to shrimp and egg because Sammie seems to believe, with every fiber of his palate, that “chicken fried rice” is an abomination. I know, doesn’t make much sense to me either. 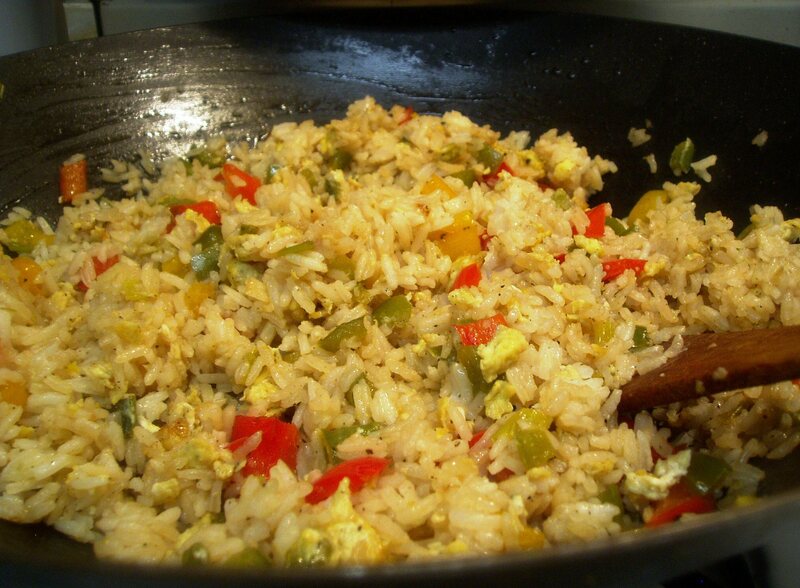 Matters of personal taste seldom make a lot of sense to others and Sammie is quirky about his Fried Rice. This fried rice is just as good when you do an all out vegetable fried rice with broccoli, baby corn and what-have-you or if you do chicken fried rice.